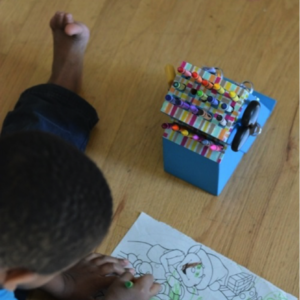 The best kind of gifts are the ones that aren’t store-bought. 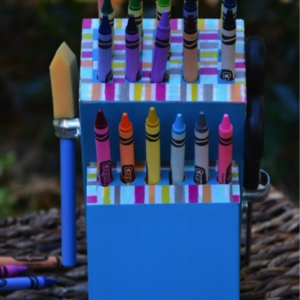 In this project, an old knife block is upcycled into a DIY crayon holder for the kids or crafty people in your life! 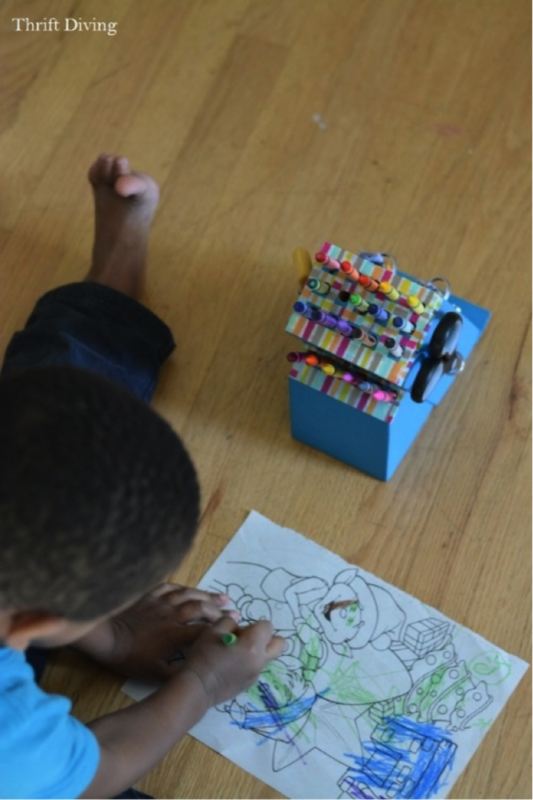 The greatest part of this gift is that it’s versatile and can organize not only crayons, but crochet hooks, markers, or anything else that needs a bit of organizing. 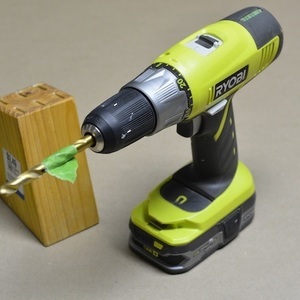 The only tool needed is a Ryobi power drill! 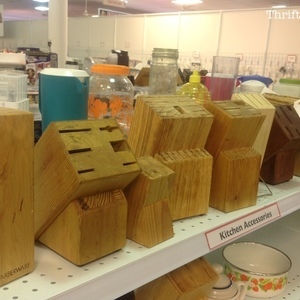 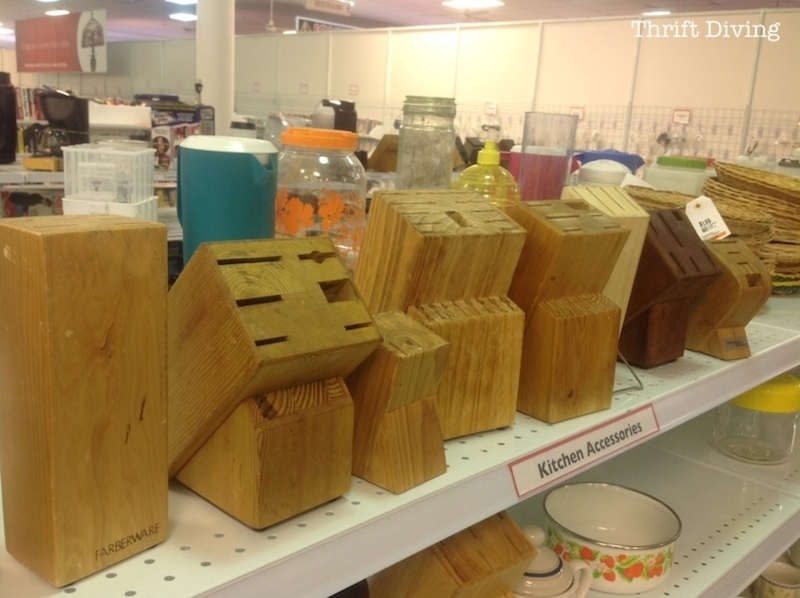 Grab on an old knife block from your local thrift store, one that is in good condition. 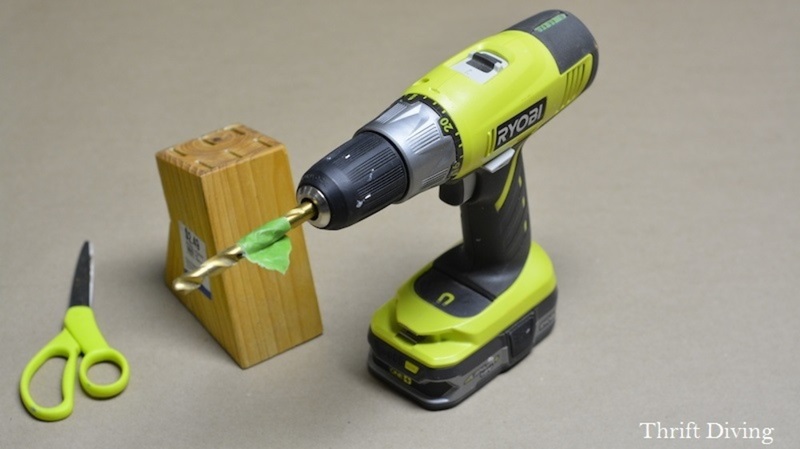 The only tool you’ll need for this project is your RYOBI 18-volt ONE+ power drill. 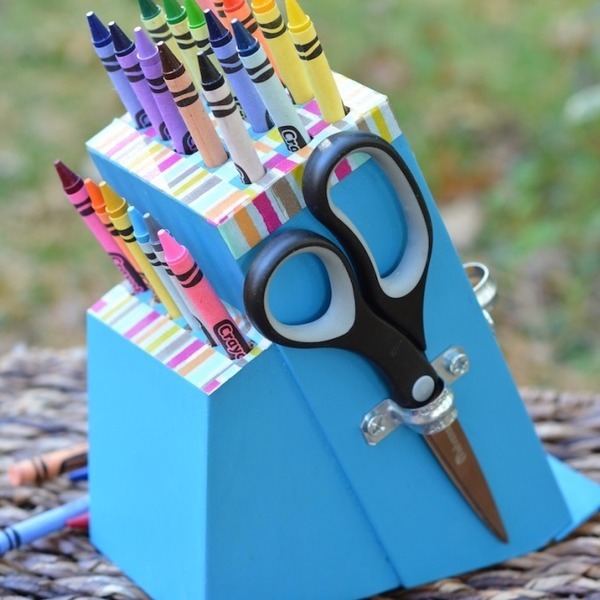 Paint your knife block. 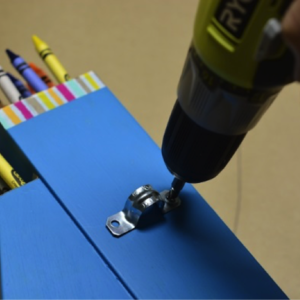 Then, using your RYOBI drill, place painter’s tape on a 3/8” drill bit as a marker for how deep the holes should be to hold crayons (or whatever other object you’ll be organizing). 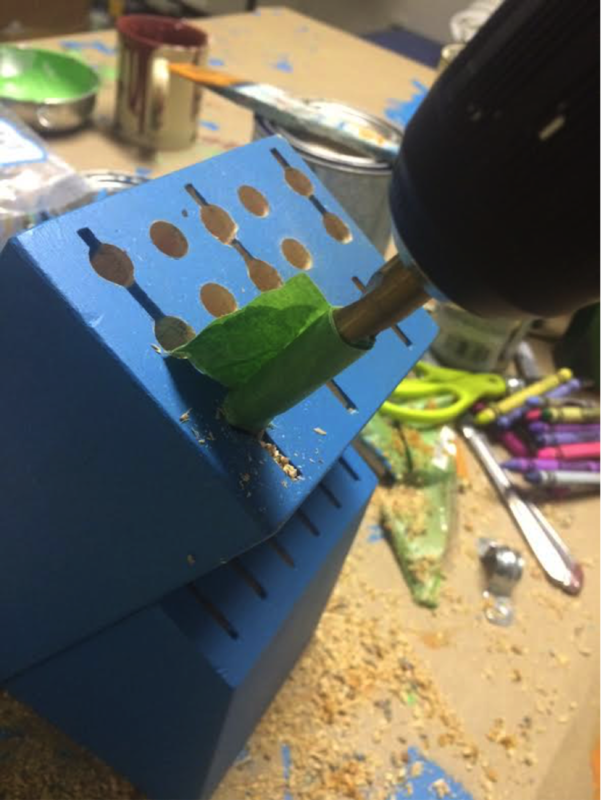 Mark your holes to be evenly spaced. 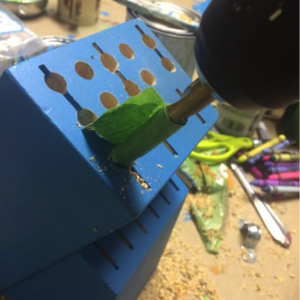 Drill slowly, as the knife slots are fragile and may crack if drilled too quickly. 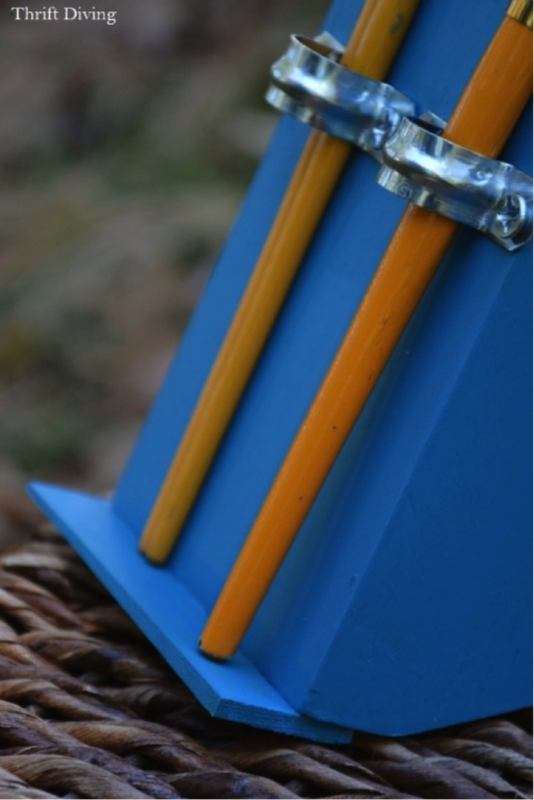 You may use as many two-hole straps as you’d like. 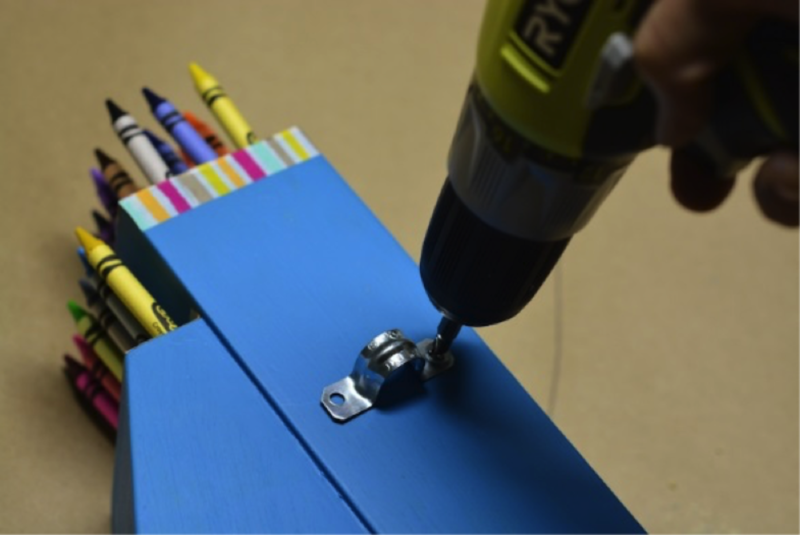 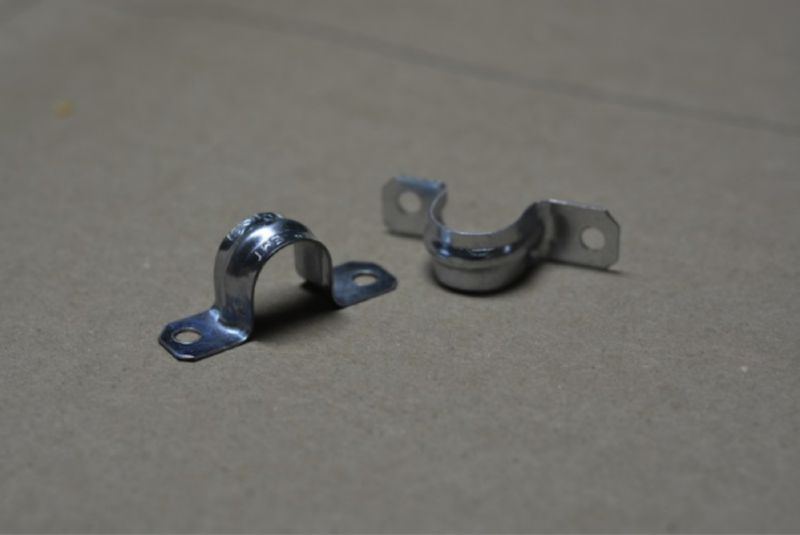 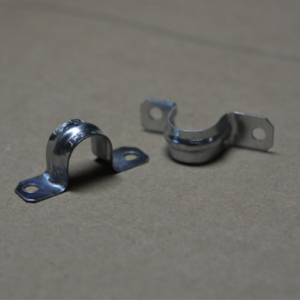 Secure the two-hole straps where you’d like them to be placed, using wood screws (size #10, ¾”) and your RYOBI drill. Use Washi tape or some other decorative trim to cover where the existing knife slots are, and to cover any imperfects with drilling. 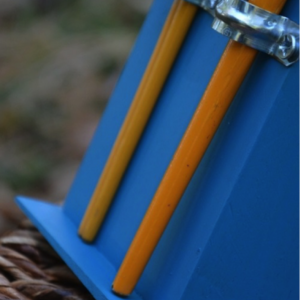 Using a piece of a wood shim (or even a paint stir from Home Depot if you’ve got a tool to cut it), use a hammer and a few small nails to create a ledge to keep paint brushes or objects from falling off the back of the knife block. 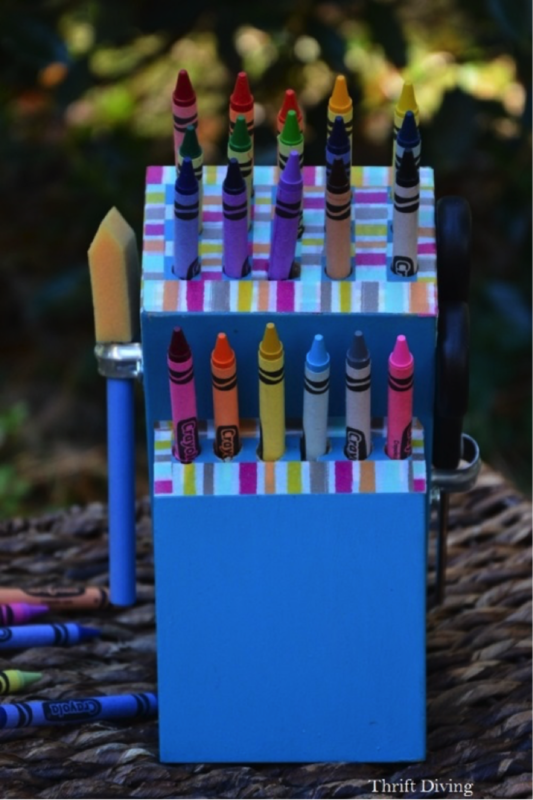 Fill with your favorite color crayons, crochet hooks, markers, and give the perfect holiday gift this season for the creative people in your life!